Welcome to Ida Belle Michelle’s Block Shop made by Johanna! Great for Valentine’s Day or just to say I Love You! The blocks are 1.5 inches x 1.5 inches in size and are perfect for decoration. They are made with a non-toxic sealant. You can add up to 5 pics for this set for $30. If you’d like to add more pics or you prefer a different color scheme, Johanna takes custom orders – just go over to the Custom Order page and tell us what you’d like! As always, blocks are made at a smoke-free and pet-free home. 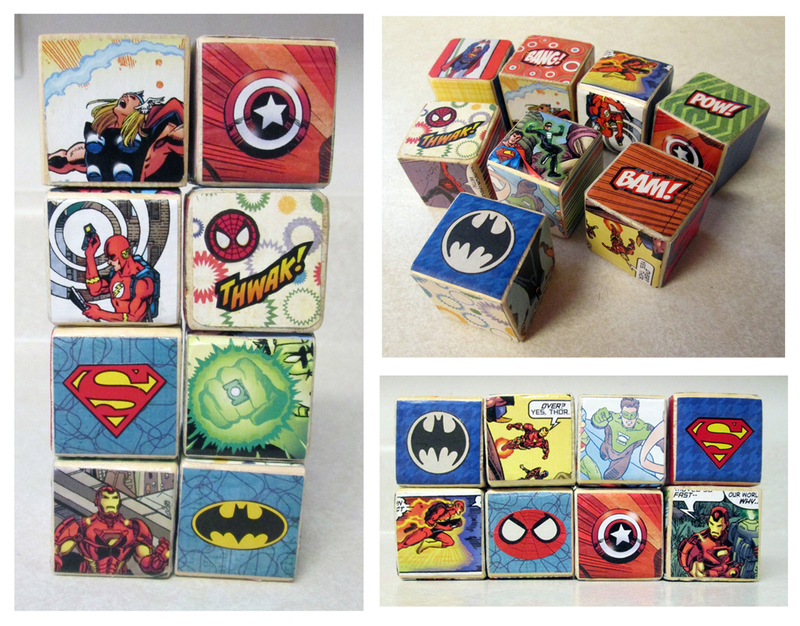 These Super Hero wooden blocks are perfect for super hero child in your life! These blocks are 1.5 inches x 1.5 inches in size. These are perfect for decoration and even for play when the baby gets older. These blocks will be played with for years and make a memorable gift for any occasion. Set of 8 Blocks is $32.00. The blocks are made with a non-toxic sealant and can be put in mouth, but not recommended. Blocks are made at a smoke-free and pet-free home. These FAMILY wooden baby blocks are beautiful and unique! The blocks are 1.5 inches x 1.5 inches in size. These modern decorative blocks are hand cut, and handmade with a dry-brushed technique for added beauty on the words. $24.00 for this set of FAMILY blocks. 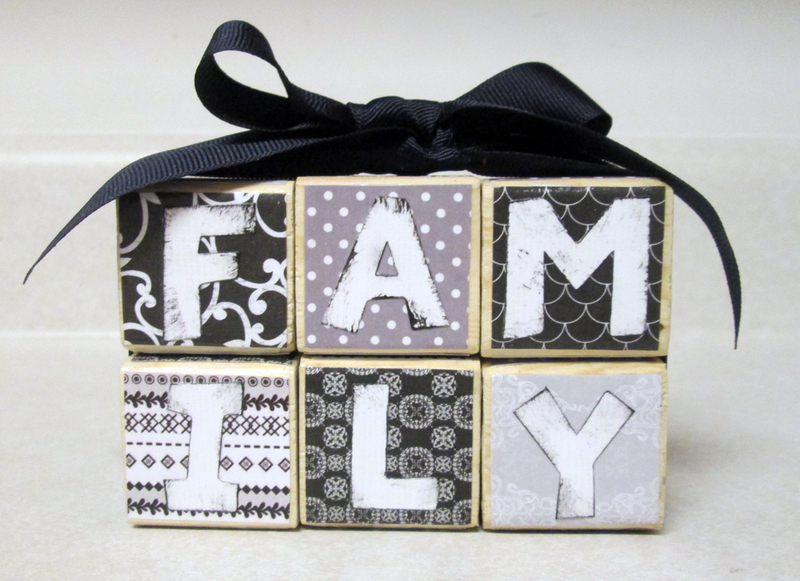 These Photo Custom wooden decorative blocks are one-of-a-kind! The blocks are 1.5 inches x 1.5 inches in size. These are perfect for decoration at one’s home or to give as a one-of-a-kind memorable gift. 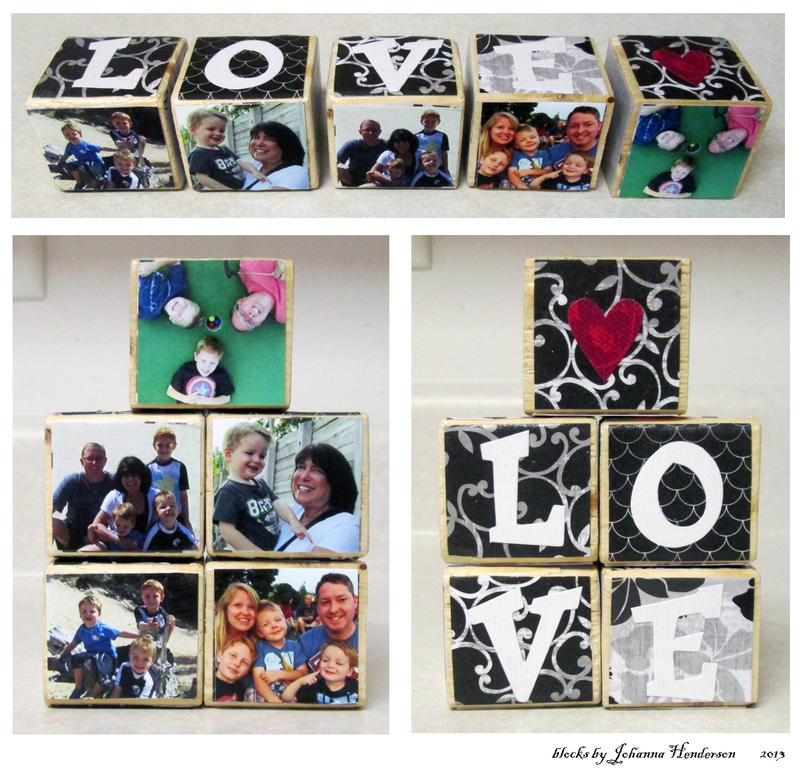 Set of 6 blocks with your own photos are $36.00. Each additional block is $5.00 each. To purchase this block order you need to submit 6 images digital once your order has been placed. 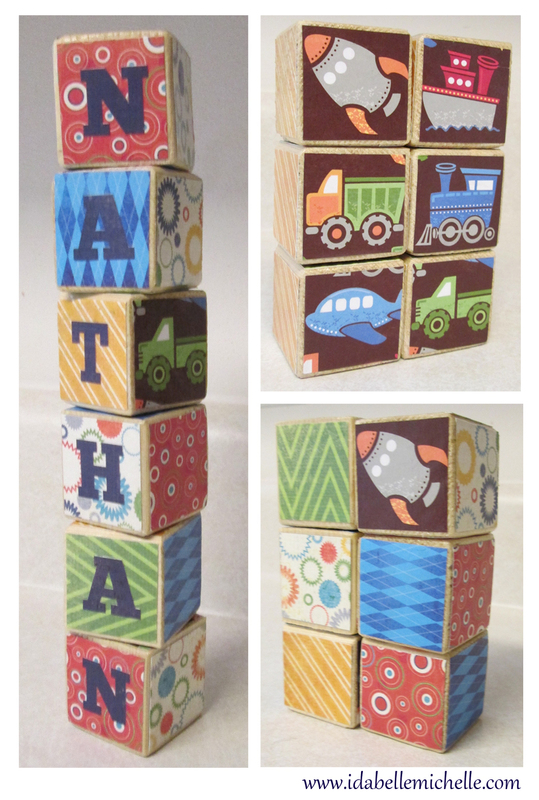 These personalized wooden baby blocks are one-of-a-kind! The blocks are 1.5 inches x 1.5 inches in size. These are perfect for decoration and even for play when the baby gets older. These blocks will be played with for years and make a memorable baby shower gift. Set of 6 blocks is $24.00.